Imagine your child having the time of her/his life; having lots of fun, dancing to great music, making lots of friends and, all this, in a safe and nurturing environment. Well... imagine no more. That's Alouettes' Signature Summer Camp; it's just something else! Alouettes’ 2019 Summer Camp has been created with nothing but dance and fun in mind. 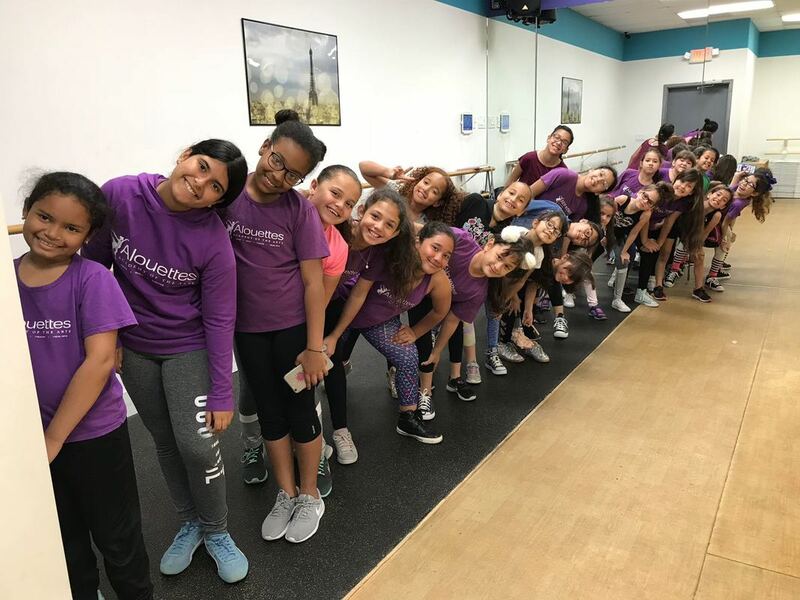 It's the Best Dance Summer Camp in Miami, with a state-of-the-art facility, our signature Summer Camp is one of the finest camps in Kendall-Miami. ​This year Campers will explore diverse dance styles, as well as, musical theatre, costume and makeup, arts and crafts and super fun field trips; to end with an amazing student showcase. We promise the greatest summer camp for our kids, in a safe and nurturing environment, and over 6 years of experience. Our summer camp was carefully put together to ensure the delivery of topnotch Dance instruction in a fun, caring and welcoming environment; utilizing our +RED approach, which has become renown for it’s effectiveness in children’s education. Dance-versity for dancers 11 to 16 years old. ^ Showcase date may vary. To participate students must attend for, at least, 4 consecutive weeks of camp. Camp Days: Monday through Friday. Note: a $10/15 minutes fee apply to campers staying after 6pm. $99* per week half day! SAVE $ with our Special Packages! **Discounts cannot be combined. Package must be paid in full at time of registration. Take advantage of our Pre-Registration by making a deposit of $50 to secure your spot. NOTE: Deposit is for reservation purposes only, and it will be used towards registration fee and your first week of Summer Camp. Please include your Child's name and weeks attending on the space provided in the Paypal checkout screen. Simply choose your special package offer below. Don't wait, our summer camp is filling up fast! 4 weeks of attendance do not need to be consecutive, dancers can choose any 4 weeks out of the entire summer camp!